Happy Sassy Tuesday!! 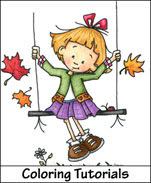 Has your weather been beautiful? Ours has...it actually hit the 70's over the weekend! It won't be long though and the snowflakes will be falling! Until then, I'll ENJOY the warm temps! Hey, did we have some fabulous Masculine cards last week or what!! You all are so creative and talented! 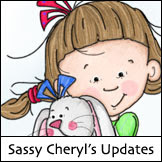 What fun to see all the Sassy Cheryl images done so many different layouts and color combos!! Now, before we get to this week's challenge, we need to see who that lucky person is from last week that will get TWO FREE images!!! 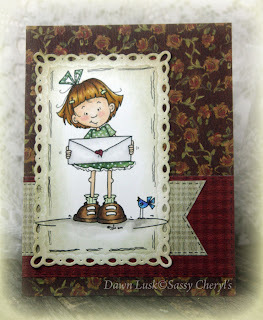 Betty wins with this FABULOUS side step card! Is this Ca-yute or what!!! Just email Sassy Cheryl for your digis so that you can do some fun shopping! Hope you'll have time to join the sassy gals again this week! I know I always need birthday cards and every so often I need one that is just going to be late! A great challenge! And just look at what the AMAZING Sassy Cheryl's DT has created as inspiration for you this week. 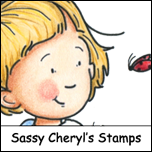 Remember. . .you are required to use a Sassy Cheryl's image. So, come join in the fun! We can't wait to see what you're going to showcase for us this week. You'll have until 5 PM EST, Monday, November 19th. 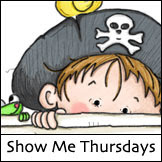 to link up your photo or blog to be entered in the random drawing for the TWO FREE IMAGES from the Sassy Cheryl's Digis shop! So get busy and GOOD LUCK! CONGRATULATIONS Betty! I'll get your account credited this morning! Woo-hoo! Ladies. . . what can I say!?!?!?! Awesome, gorgeous, creative and beautiful yet again! Love em! Beautiful inspiration from the DT for this week's challenge. Love them all! Fabulous inspiration from the DT. I love that they are all so different...yet all so wonderful! Great cards from everyone this week. I am sorry I missed the deadline I have been away for 4 days and tried really hard to finish my card when I got home last night but my eyes had other ideas they just wanted to go to sleep LOL! !